Recruiting for the First World War was something pigeons, cats, dogs and horses were not prepared for and neither were the glow worms or the slugs. Millions of animals were taken from the comfort of their homes to join the Army. They marched beside soldiers, bewildered, frightened and without choice. In France, trenches soon became infested with thousands of rats, breeding young ones and spreading disease. And so it was, 500,000 cats were employed as ratters. Many a man welcomed these creatures, not just because they killed the rats, but they raised morale which helped temporarily to relieve the stress of war. Quite often, when the sound of the guns blasted above them, the cats lay with the dying soldiers. Above the trenches, come rain, wind, or snow, soldiers on horseback raced to the front. Over a million mules and horses had been deployed from Britain alone, with the rest being shipped from North America at a thousand per week. Eight million horses died during The Great War, mostly from war wounds; foot rot, influenza, ringworm, starvation and gangrene. Hunger was a major problem, so sawdust was added to their food to slow down digestion. And despite all their efforts, these brave animal soldiers of war, often succumbed to the relentless bombardment and suffered from debilitating shellshock. Once again, when threatened by mustard gas, the Army turned to animals for help. They tested many of them for the detection of gas but they all failed, with the exception of the innocent garden slug. Why, may you ask? Exposed to mustard gas, the slug closes its breathing aperture, so protects its lungs. Recruited immediately and without training, they were marched to war! Back in the dark, dank trenches, winter loomed with the promise of being the coldest that France could ever recall. Soldiers struggled to read their maps and letters from home and morale was low. Then along came an enormous army of glow worms. Not your average soldier by any stretch, but they proved their worth by joining the ranks and living in jam jars. It seemed that nothing could escape this terrible war! Soon, the trenches, built from sandbags and wood, were occupied not only by soldiers, but cats, glow worms, slugs and dogs. It is no wonder, that typhus, dysentery and cholera soon followed. The unsuspecting dogs, once someone’s pet, were trained as messengers and enemy detectors whilst others became Mercy dogs on the battlefield. Carrying medical supplies in a box attached to them, these brave canine soldiers sought out the wounded and dying. Sitting besides the bloodied men, their cries merged as one. Americans didn’t use dogs, until they discovered a stowaway on board one of their ships. That dog, ‘Sergeant Stubby’ became the most highly-ranked and decorated service dog in military history. Around a million of these dogs died in action. The war was not only being fought on the ground, but up in the sky where pigeon ‘spies’ flew between France and Britain and frontline trenches. Strapped to them were messages, vital to the soldiers. These amazing birds (100,000 of them and probably more) fought the enemy falcons, released by the Germans in the battle of the sky. These birds of prey could bring the pigeon spies down when all else failed. And so this bloodiest of wars, with a total loss of more than 9 million soldiers, not counting civilians and the animals that supported them, ended at 11 o’clock in the morning of the 11th day of the 11th month in 1918. But for the animals, their war was far from over. The National Archives in Kew, London, tell a sad tale of thousands of animal ‘soldiers’ left behind at the end of the war, in the hands of Belgian and French butchers. The same thing happened after Wcess Royal, unveiled the Animals in War Memorial in Hyde Park, London. This was designed by an English sculptor to commemorate the animal soldiers that served and died under British Military command, throughout history. 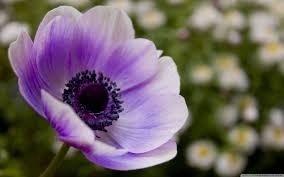 At the going down of the sun, we will remember them.W2. Churchill was furious when he heard of their plight and arranged for their safe return home. "The tree which moves some to tears of joy is in the eyes of others only a green thing that stands in the way. Some see Nature all ridicule and deformity, and some scarce see Nature at all. But to the eyes of the man of imagination, Nature is Imagination itself." If you look at the picture, you will see the trees I stumbled upon after a storm. 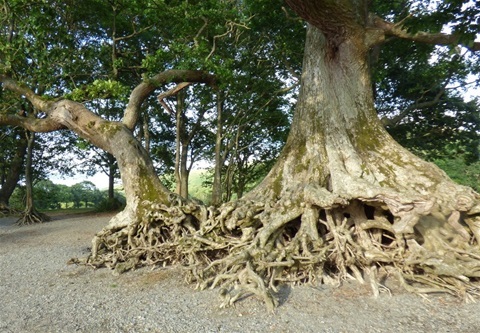 The earth had been washed away, leaving the knotted and twisted roots exposed. But still determined to survive! And they will, for a long time to come! ‘God is a fine artist,’ my father once told me. I was always thought that this was a strange thing for an atheist to say. But, I never said anything, of course, for I knew that deep down, his love and respect for all animals and nature was God enough for him. All kinds of birds fly through the great oaks of Wales. But for me, I love to hear the owl at nightfall, when the torch is out and we sit beside a campfire and smell the damp air in silence. In West Africa, the Oubangui people plant a tree each time a child is born. As the tree grows, so does the child but they believe that same child’s health will be at risk if the tree ceases to thrive. From time to time, gifts are left by the tree and when the child becomes adult and dies, the Oubangui people believe that their spirit lives on in the tree. I think, just like the Oubangui people think, that I too would not thrive without trees....nobody would! There is something magical about shopping in the wild for food. Eating for free, my father used to call it. From a young age, he taught me how to survive on food from the hedgerows. I often wonder if what I ate was meant to be eaten! But here I am to tell the tale. Quite often we would sit by an open fire outdoors, upon which a heavy saucepan sat, with something or another boiling away, usually nettles or rosehips. This was often followed by a bowlful of blackberries and the leaves (quite edible) or gorse flowers, red clover flowers and sticky grass. Sometimes we'de boil up cleavers, goose grass (galium aparine) which were also quite appetising. My father would catch a fish or collect cockles or a crab, sometimes a bowl of prawns and shrimps and we would have a feast. All for free, and cooked on a fire on the beach. Looking back on those carefree days of eating for free whist my head was permanently in a book full of adventure, there is no wonder I turned out a free spirit. I can hardly resist anything growing wild that is edible and a stories full of mystery! But one should invest in a good reference book if you’re not sure of what it is that you can eat. Take for example mushrooms. 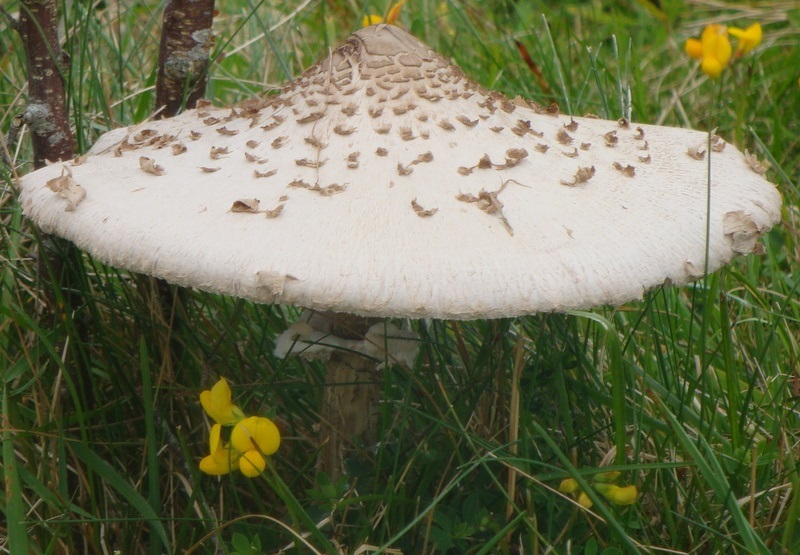 These can vary enormously, from toadstools to the delicious girolles (yellow-orange mushrooms) so be careful what you eat. During the summer months, my father would make a salad of hawthorn leaves, hedge sorrel and hedge mustard, sprinkled with the gorse flowers and marigolds. I can’t say that I liked everything he gave me, and sometimes I would fill my pockets with leaves I couldn’t eat, not to disappoint him. He made such an effort to teach me how to survive in the world. And so it is, that I am happiest roaming through woods or along the beach near our home for waifs and strays. In our garden for waifs and strays, you will find a wizards’ tree. Once known as ‘Fid na ndruad’, the rowan tree has been associated with witches and magic. This is probably because of its bright red berries being the right colour for fighting evil. So it is no wonder that people in Wales who once believed this superstition, would often plant a rowan tree in a churchyard for protection. But there is no evil in the garden for waifs and strays, just magic! 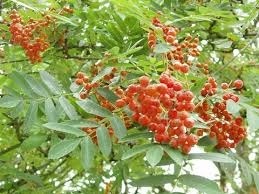 Rowan, or Sorbus aucuparia (its scientific name) has many uses, from its berries to its wood. The berries are rich in vitamin C and quite edible once cooked. They make wonderful jelly and jams. But be sure you are picking the correct berries. Place the berries in a pan, add the water and cover. Heat to simmering, then cover and let it sit overnight. Strain through a cheesecloth. Follow the instructions on the gelling agent package to make the jelly with the resultant juice. Should make about 1 litre of juice. Walking sticks are carved from the rowan trees smooth and silvery grey wood, which is strong and resilient. Spinning wheels and spindles were traditionally made and the bark was used by the Druids as a dye. Thoul't aye be dear to me. In all the country side. The first time we ever saw daylight was when she rescued us. Though why she bothered, I'll never know. We weren't a pretty sight and we didn’t smell good, either. We were scantily dressed girls with dull eyes and toe nails like claw hammers, which made us look like we were walking badly in stiletto heals. ‘Hello girls!’ She had the voice of an Angel. The girls were nervous and began to scramble and scream. 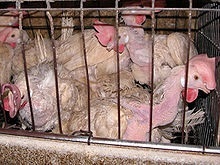 'Calm down,' I mumbled as I watched from the corner of the cage. I had just laid an egg and as usual I was trying desperately to stop it from rolling away. I wanted my egg, it was the only dream I ever had! ‘I'm not going to hurt you,’ the Angel spoke again but this time she reached in and grabbed Gerty. She bwaked and squawked and was followed by Twiggy, Twilight, Midnight, Starlight (they chose their own names!) She hesitated when her hand reached in for me. You see, she had spotted Featherpin, lying breathlessly on the iron bars besides me. I could smell her blood. Poor Featherpin, she was my dearest friend and wasn't as strong as the rest of us. She had been injured in the scurry, an accident, of course! The Angel clasped both hands around Featherpin, and tucked her inside her coat. I felt a lump in my throat. I knew we were all in safe hands. How I knew all this, I’ll never know. Maybe my mother was the same, I will never know that either, because I never met her. Perhaps, like me, she tried to save her egg and lost. Perhaps she had no alternative but to watch me roll away. ‘And last but not least!’ said the Angel, her head almost reaching mine. Then she stopped! I held my breath. She was looking at my egg that was slipping slowly from my grasp. I felt her hands around me, they were warm and gentle. 'Why there's more meat in a sandwich than on you!' she said. And that's how I got my name! Sandwich! Not a very glamorous name, I thought, but I later learned that glamour would get you nowhere. In a blink of an eye, I was placed in a box with the others. Not one of them said a word. We were so bewildered. And as if by magic we left the only home we had ever known. In the darkness, I thought about Featherpin and my egg. I wondered if I would ever see them again.